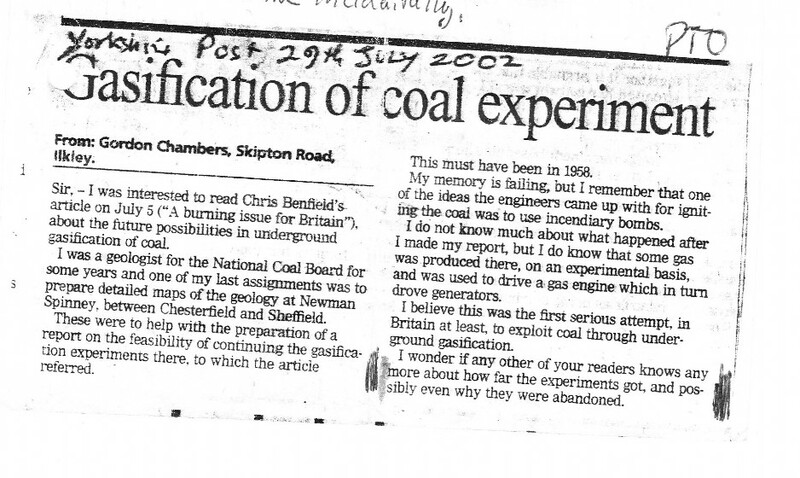 An Experiment in Underground Gasification of Coal. As a direct result of World wars and energy crisis the British Government under the Ministry of fuel and power sought to make the British Isles internally energy efficient. Undertakings were made by the large oil and gas companies under Government guidance to find out what energy sources were available to the country. Hundreds of boreholes were drilled up and down the country in search of oil and gas, with the first in shore oil pumping station delivering oil from a well constructed at Hardstoft near Pilsley. Certain seams of coal were rich in oil and experiments were carried out to see if this oil could be commercially extracted. 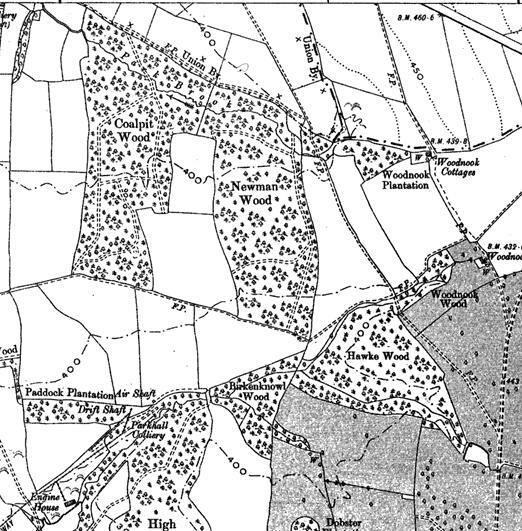 Seams a Bolsover and Southgate colliery Clowne were found to be richer in oil than others but the oil was not in large enough quantities to be financially viable. Experiments were carried out to produce energy from coal more efficiently and at a lower cost than deep mined coal extraction. One experiment was carried out where a seam of coal was ignited underground and the resulting gasses piped off in a controlled burning of the coal in old colliery workings, in much the same way as coking ovens produced coal gas for distribution until the 1960's when North Sea gas came on stream as a cheaper alternative. The first such experimental underground plant was constructed near Killamarsh for this purpose. Britain's first underground gasification site was at Newman Spinney, Barlborough near Killamarsh. It was opened on May 22nd 1950 when the first seam of coal was ignited. On February 28th. 1959 eight men were burned at the plant in an underground explosion and were treated in hospital. The plant closed later that year on May 11th. A few years ago whilst on holiday I spoke to a garage proprietor in Mablethorpe who had worked at the site for the National Coal Board from their research laboratory at Bolsover and was ultimately responsible for extinguishing the fires and returning the land back to agricultural use. He was astounded that information on this project was in the public domain as at the time (he claims) it was a very secret project.